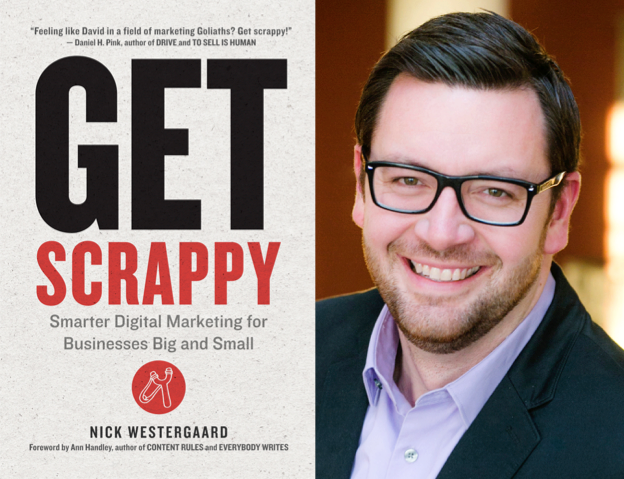 Nick Westergaard is a marketing strategist, speaker, author, and educator. As Chief Brand Strategist at Brand Driven Digital, he helps build better brands at organizations of all sizes — from small businesses to Fortune 500 companies. 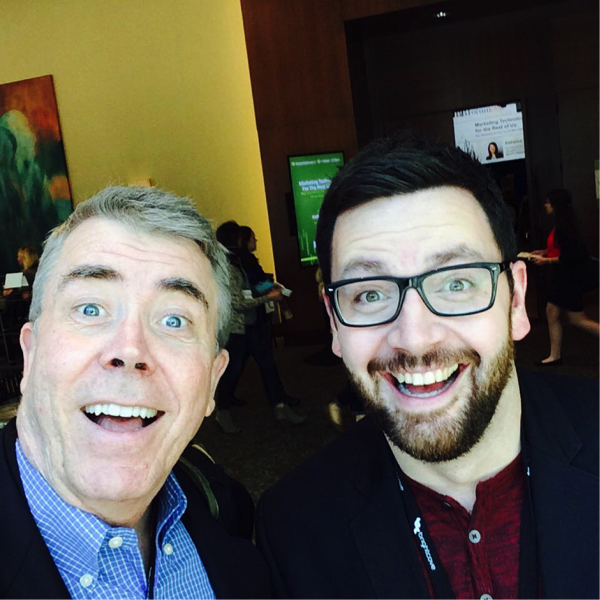 Nick writes for MarketingProfs and his thoughts have been featured in US News & World Report, Entrepreneur magazine, Mashable, American Express OPEN Forum, and others. He also teaches branding and marketing at the University of Iowa and hosts the popular On Brand podcast. Nick lives with his wife and five kids in Coralville, Iowa. First, let’s define what the author means by “scrappy.” Think David and Goliath. Someone who appears dwarfed by a challenge, but more than compensates for seeming inadequacies through will, persistence and heart. When Charles Dickens talked about the best of times and the worst of times, he could have been referring to modern marketing. If modern marketing has you feeling a bit overwhelmed, you’re not alone. There is a firehose of shiny new things online: new channels, platforms, tools and networks constantly coming at you. There’s a myth that only big brands with big budgets, big teams, and big technology can do big things with digital marketing. And there’s another growing obstacle Westergaard refers to as “checklist marketing” where we focus on checking things off lists instead of on what makes the most sense. “Get Scrappy” will help you demystify marketing today in a way that makes sense for your business and lay a foundation for action that will produce measureable business results. There is a military term for what’s going on in marketing today. It’s called the fog of war – confusion caused by the chaos of war or battle. Get Scrappy will help you cut through the fog of marketing and take the right course of action.